The Mazda Miata is meant to be driven with the top down. That's why it was created, for top down enjoyment. Nik, the editor of Zoom Zoom magazine also knows this. 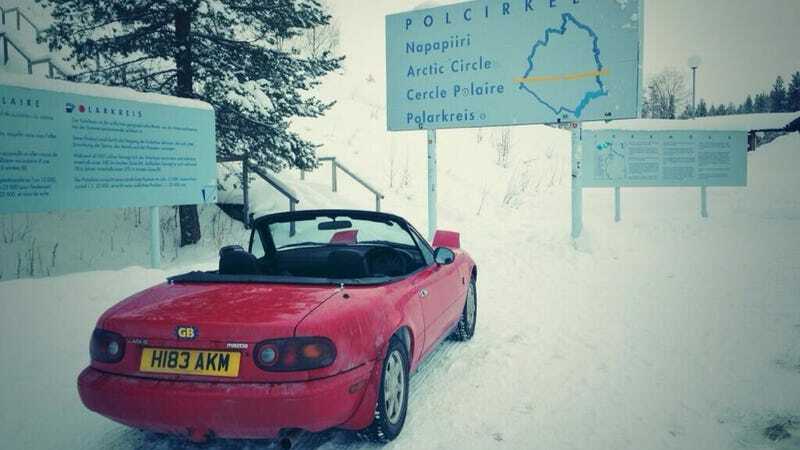 That's why he drove the Arctic Circle to celebrate the Miata's 25th birthday. Not much info to go on now, but Nik says he took his 1990 Miata across the Arctic Circle to celebrate the marque turning 25 years old. He also said he has it on film and it'll be out next week.